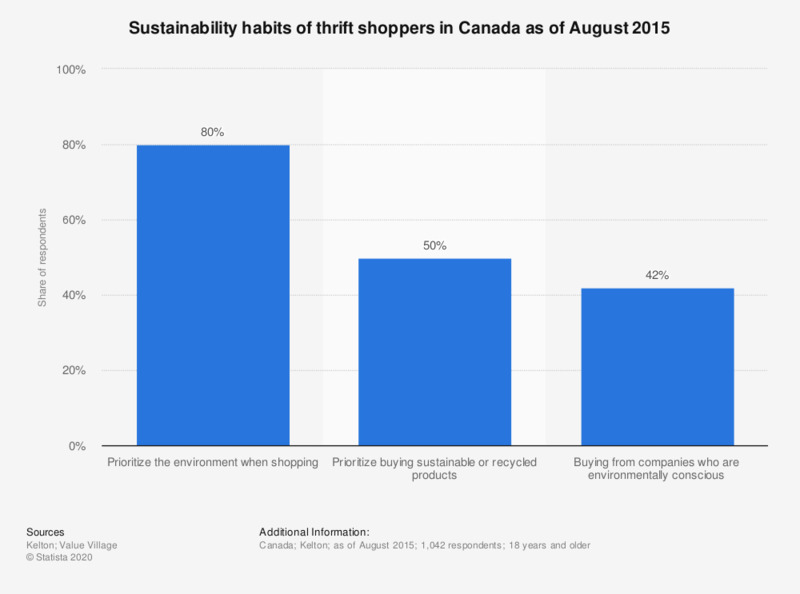 This statistic shows the sustainability habits of thrift shoppers in Canada as of summer 2015. During the survey, 80 percent of the respondents said that they prioritize the environment when shopping. The source states the date of survey as summer 2015. What are the main reasons for purchasing second-hand goods? Did you sell or purchase second-hand goods within the last 12 months? Which category of second-hand goods did you buy within the last 12 months? Which type of second-hand goods did you purchase within the last 12 months? When was the last time you made an unplanned purchase?